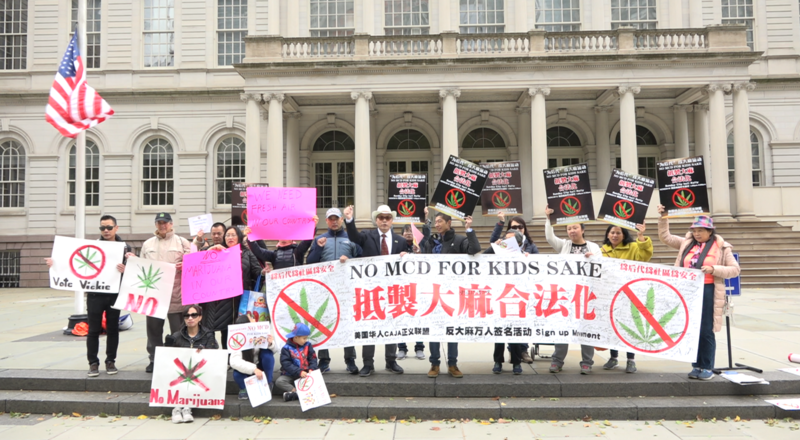 One week before the midterm elections, a group of Chinese Americans protested against marijuana legalization in front of city hall, and claimed they would only vote for politicians who keep marijuana away from their community. Although the politicians favored by Chinese this election, mostly Republicans, all failed in the elections, the Chinese community has been working hard to make their voice heard. 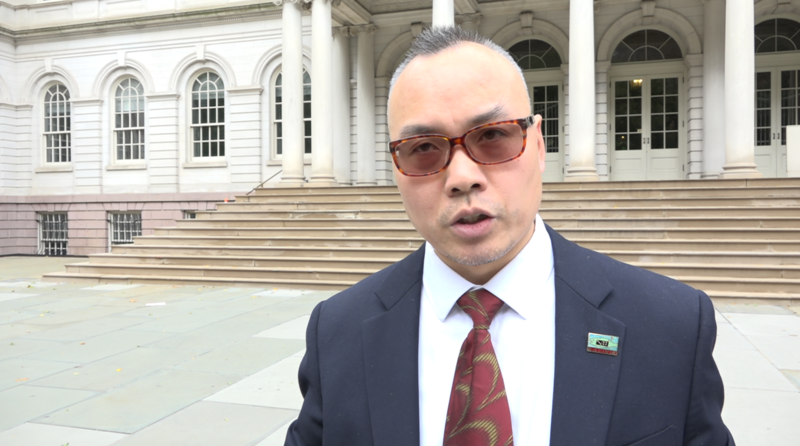 Some say that Chinese Americans in NYC are passive when it comes to political participation. But this year was an exception. One week before the midterm elections, on Oct 28th, Chinese activists protested in front of the city hall against the legalization of marijuana. 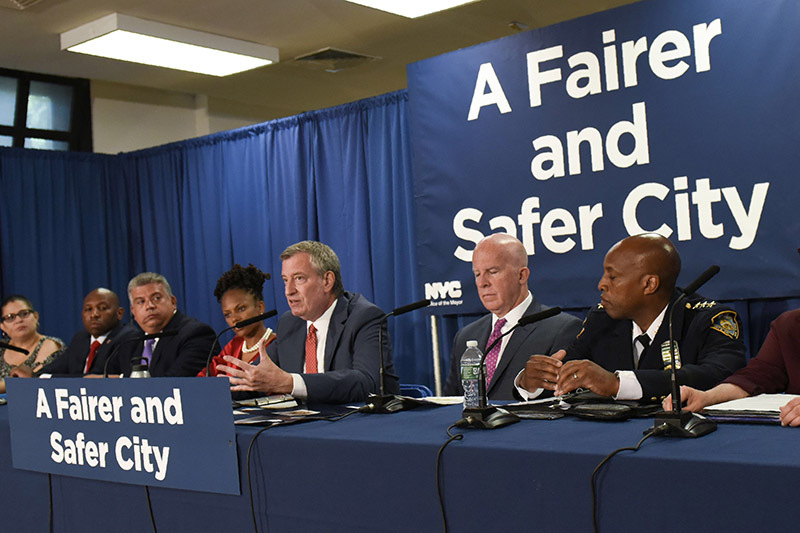 The story begins in May when Mayor Bill de Blasio announced that New York City would issue tickets to most marijuana smokers in public to reduce low level-pot arrests. This change went in effect on September 1st, and is believed one step further to the legalization of recreational marijuana. 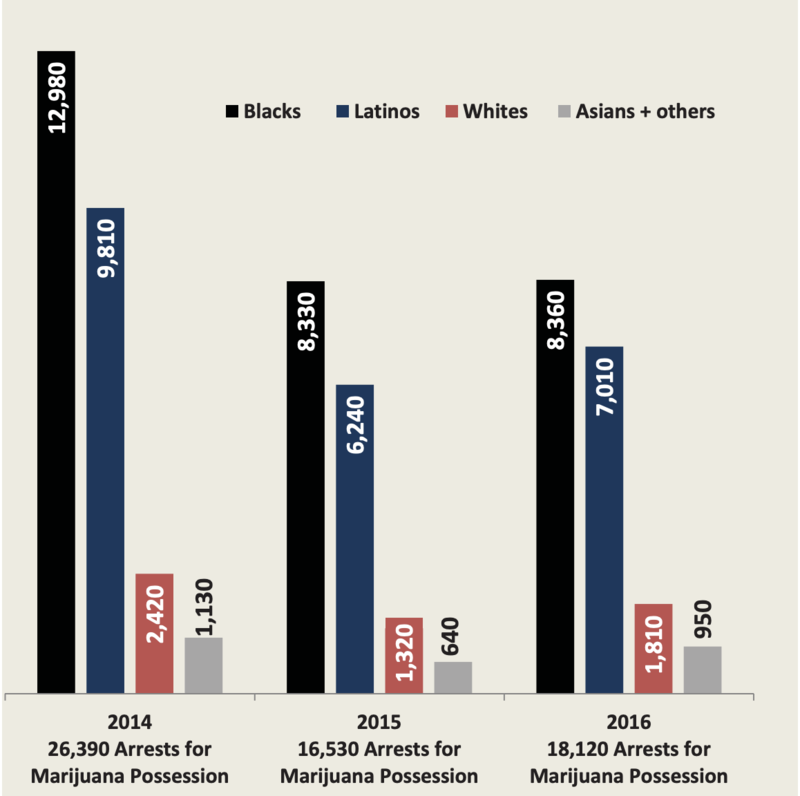 Statistics from the NYPD reveals that this change could be urged by the racial dispairty: over 30 years, 87% of marijuana possession arrests happened in the black and Latino communities of New York City. 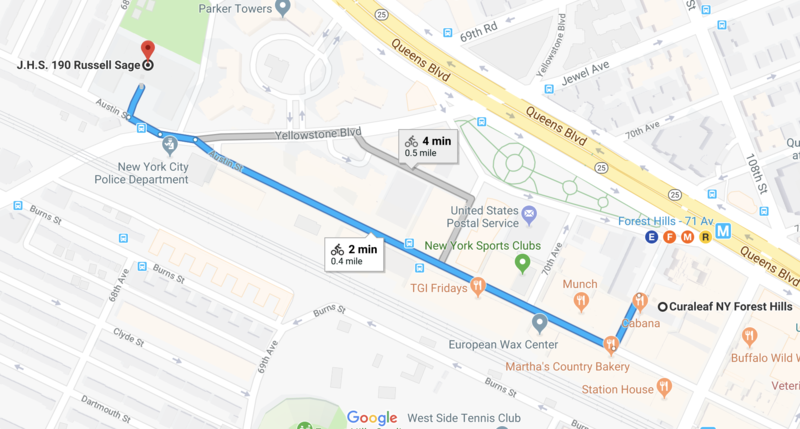 In July, Curaleaf, a medical marijuana dispensary brand, set up a new shop in Forest Hills, Queens. 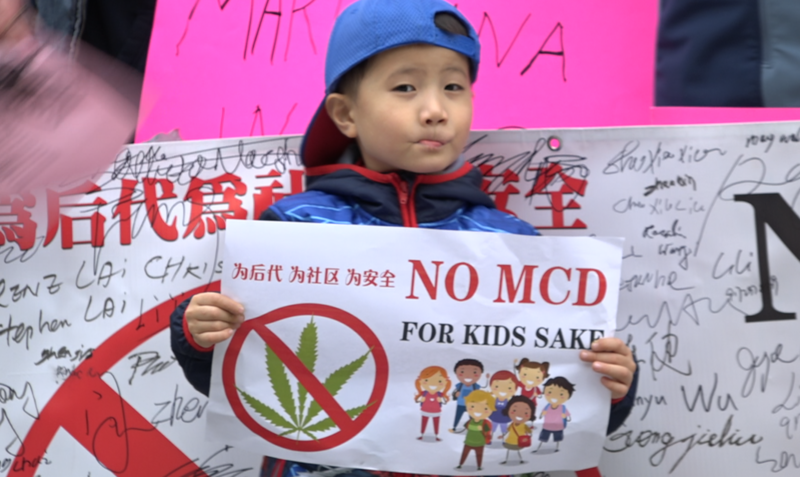 This enraged the local Chinese residents, who worried that weed would have bad influence on their children and argued the marijuana shop was too close to a local junior high school seen on the map. The Chinese protestants argued that marijuana is a gateway drug and a "drug for the poor." They claimed that they were doing all this all for kids' sake, as marijuana can cause irreversible harm to the neural system, especially for kids and adolescents. Activist Jin-liang Chen said they would only vote for politicians who understand the needs of the Chinese community. "The essence of our tradition is Confucianism and propriety," said Chen. "We can't accept a politician who keep a blind eye on the invasion of bad influences." 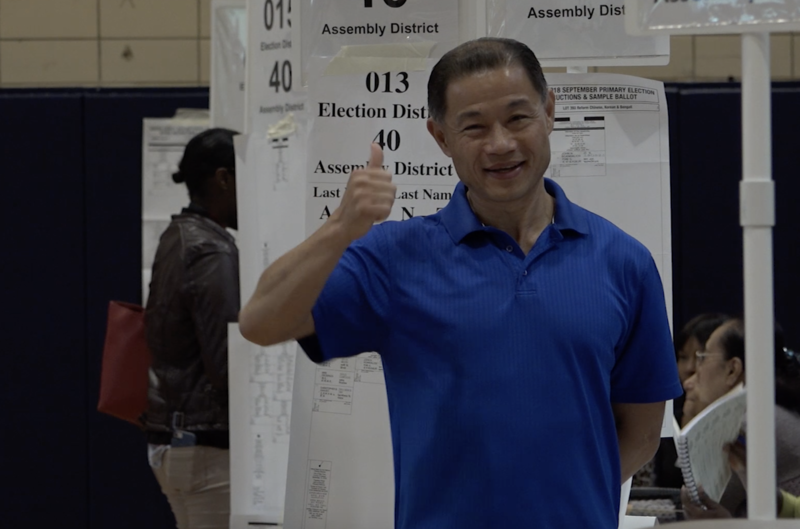 Chen was referring to John Liu, who became the first Chinese American State Senator after the midterm election. However, he is not popular among all Chinese in his district: one of the reasons is that he called for the legalization of marijuana in 2013 for its high tax revenue. For many Chinese voters who are first-generation immigrants, marijuana reminds them of opium, which was introduced to China nearly 200 years ago and finally lead to a war with Britain. 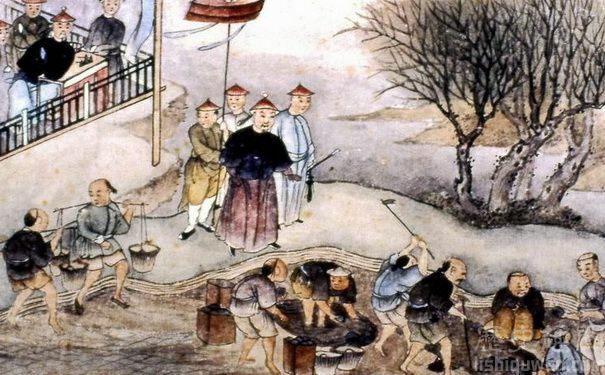 Lin Zexu, the chancellor who carried out the destruction of opium, was remembered by generations of immigrants. "Do we want to lose again?" "China lost on opium, do we want to lose on marijuana?" 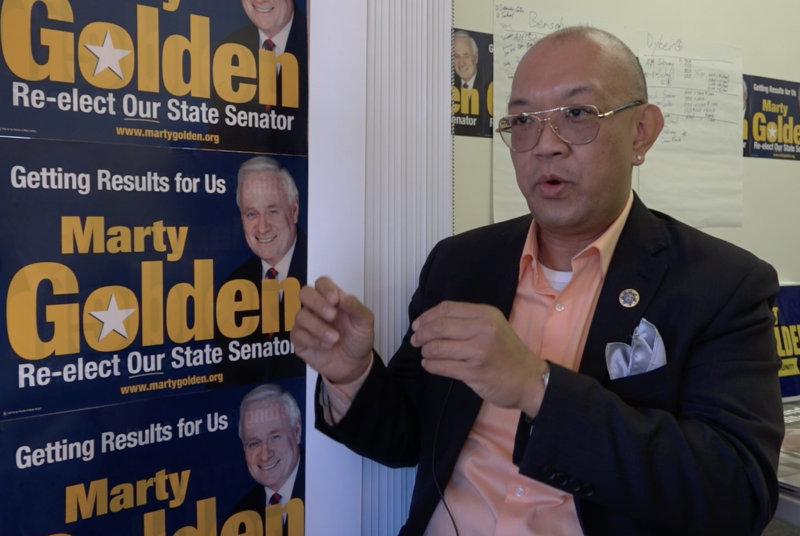 said Bernard Chow, who was helping republican Marty Golden in his campaign. But as Golden, one of the few candidates who opposes marijuana, lost to democrat Gounades, Chinese community is disappointed again. 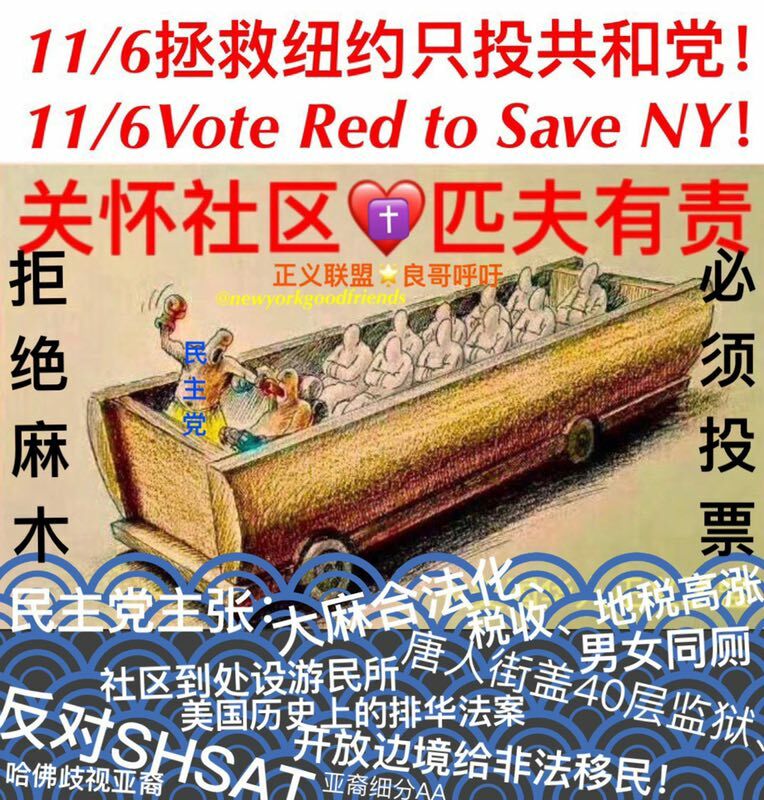 A comic popular among Chinese voters on the social media blames the policies of the democrats, including legalization of marijuana, building a prison in Manhattan's Chinatown, and abolishing SHSAT. The activists believe that Democrats are going extreme left and shout out the slogan "vote red to save NY". (from left to right, Molinaro, Golden and Avella) Although the three important candidates for the Chinese community all failed in the midterm elections, for many Chinese Americans in NYC, this election is merely the first time they participate in the democracy. With more people coming out to vote, one day the Chinese community will make their voice count.